Do you represent a New Hampshire State Government Agency and wondering how you should archive all your web and social media content? Are you trying to determine what you need to do both from a legal and a technical point of view? Here’s a guide to the different Laws and processes you should follow. “Openness in the conduct of public business is essential to a democratic society. The purpose of this chapter is to ensure both the greatest possible public access to the actions, discussion and records of all public bodies, and their accountability to the people.” RSA 91-A:1. What Laws govern Records Management in the State of New Hampshire? New Hampshire’s Right to Know Law ( R.S.A. Ch. 01-A et seq.) governs all social media and open records in the state of New Hampshire. This legislation, founded on the principles of freedom of speech and liberty, indicates that all “citizens” have a right to access New Hampshire’s records. New Hampshire Open Meetings Law R.S.A. Ch. 91-A et seq. also provides provisions on the disclosure of public records to the public. Do New Hampshire State Records Laws include Website and Social Media content? Yes they do. NARA state that that is a “[P]ublic expectation that all web content is both permanently valuable and accessible” – and so social media and web records are subject to these standards as well as the relevant metadata being pertinent to these laws. 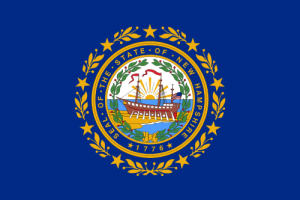 The scope of New Hampshire statute extends to many different forms of content, as in its’ wording, “Information” means knowledge, opinions, facts, or data of any kind and in whatever physical form kept or maintained, including, but not limited to, written, aural, visual, electronic, or other physical form. Subject to the open and inclusive nature of these laws, social media and website postings would be included in this definition – the content of the posting would determine whether it would have to be disclosed. Municipal websites may be used as one of the two places for publicly posting notice of meetings. Subject to the open and inclusive nature of these laws, social media and website postings would be included in this definition – the content of the posting would determine whether it would have to be disclosed. Municipal websites may be used as one of the two places for publicly posting notice of meetings. Again, in line with the expansive and open nature of New Hampshire’s Open records laws, a wide scope of public bodies are subject to these regulations. is my agency required to do in line with these regulations? Public agencies and public bodies that maintain governmental records in “electronic format” have the authority, “in lieu of providing original records, to copy governmental records requested to electronic media using standard or common file formats in a manner that does not reveal information which is confidential under this chapter or any other law”. RSA 91-A:4,V. In Menge v. City of Manchester, 113 N.H. 533 (1973), the Court held that records maintained in a computer storage system were subject to the Statute, and ruled that the city had to provide the requester with a computerised version of such records. How can we transfer website archives made with PageFreezer to the New Hampshire State Digital Archives? PageFreezer exports all data on request in the original file format including the required metadata. This data set can be transferred by FTP or by other means to the New Hampshire State or Agency Digital Archives.